This book is a full-length novel. After the protagonist Du Nanan graduates from the university, he finds a job in the TV station that he has always dreamed of with his own efforts. However, the working status of having nothing to do makes him doubt about his own values. 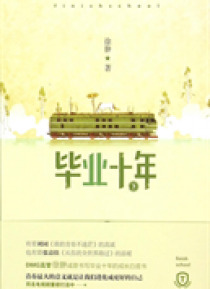 After a strong fight of thoughts, he eventually decides to resign his job in the TV station and leads his girlfriend to have an a… dventure in Beijing. However, it isn't that easy to find a job in Beijing. Du Nannan experiences numerous setbacks and tests between the reality and ideals and between career and love. In ten years, he meets falls, sufferings and emotional confusions. In the ten-year-long growing process, Du Nanan gradually understands how to treat oneself and others. He also understands how to live a real life through love and beliefs.